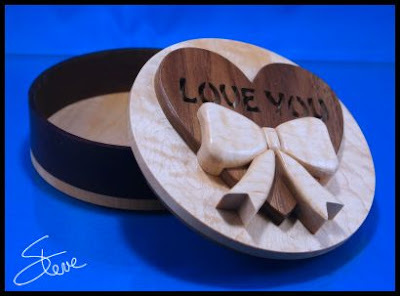 Valentine Round Box Scroll Saw Pattern. 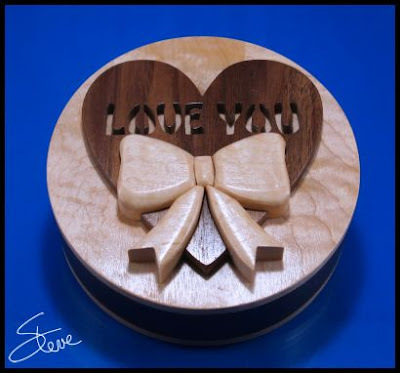 The decoration for this box is made by stack cutting the ribbon and the heart together. The board for the ribbon is 1/2" thick and the board for the heart is 1/4" thick. 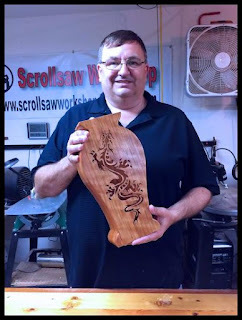 Then you combine the pieced needed to complete the decoration. This stack cutting technique ensures that the pieces fit together well. You want to use a relatively thing blade. I used a #1 reverse tooth blade. The thin blade helps the pieces fit tighter. The ribbon is then contoured to give it a nice soft look. I also slightly contoured the outside edges of the heart. Complete instructions are included in the pattern. 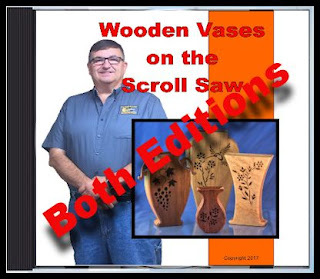 I just wanted to mention that my two "Wooden Vases on the Scroll Saw" eBooks are also available on DVD. Some people prefer not to have to download the pattern. If that's you then the DVD contains both books for $19 plus shipping. 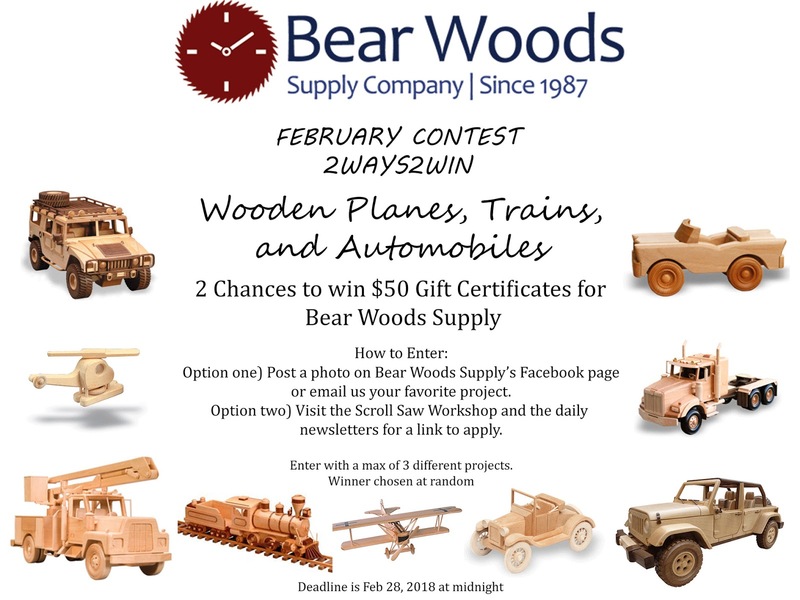 The download versions are $12 per book. I reduced the price for the DVD to cover the extra for shipping. 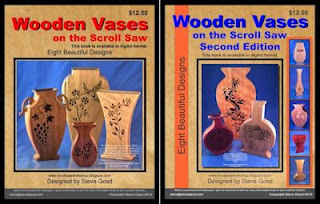 These vases are not difficult to make and they look beautiful with dried flowers or as art pieces. Each eBook has eight different designs. 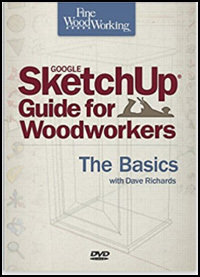 This DVD is a few years old but still has plenty of useful information.